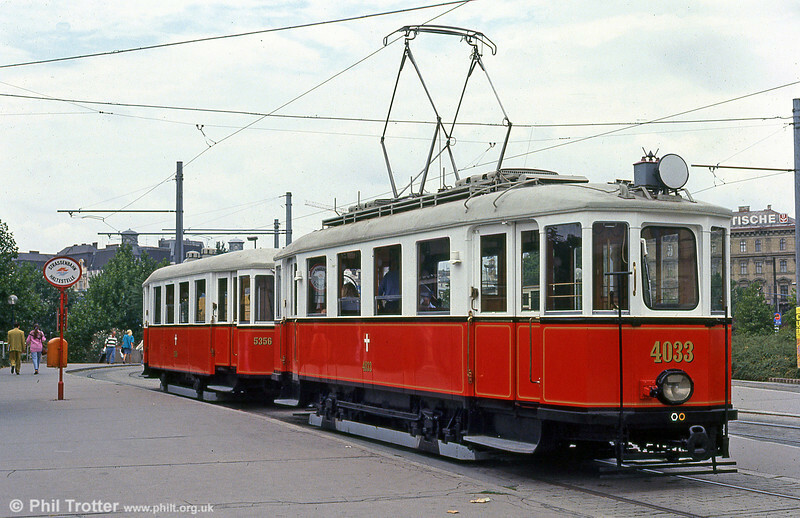 The Viennese Tramway Museum was established in 1986 and hosts a comprehensive collection of vehicles of the tramway which are of historical and technical importance. Nearly all vehicles are maintained for operation permanently and can therefore be used for special events. At work running special services on the Vienna system is 4033 dating from 1928, at Karlsplatz on 15th August, 1992.